All around Hawaii, you’ll see the impact of conservation efforts: From Honolulu Zoo programs to fundraisers for endangered species to residents careful to pick up their trash — Hawaii is a bastion of conservation. So, it was no surprise that organizers decided to hold the World Conservation Congress in Hawaii at the Hawaii Convention Center. The event started September first and wraps-up Saturday. The paper reports that this is the first time the congress, convened by the International Union for Conservation of Nature, is being held in the United States. Some 6,000 leaders and attendees from the far corners of the world will gather to exchange ideas to find solutions for a world facing a number of conservation crises. Topics of debate will range from ocean governance to oil palm expansion and ecotourism. As for who’s debating those topics — the event is a veritable Who’s Who of the conservation world: The Honolulu Star Advertiser reports that the guest-list includes chimpanzee expert Jane Goodall, New York Times columnist Thomas Friedman and Nainoa Thompson, president of the Polynesian Voyaging Society, whose sailing canoe the Hokulea has been on a worldwide voyage spreading a message of sustainability. Among the world leaders attending the World Conservation Congress in Hawaii are Prince Albert II of Monaco; Princess Basma bint Ali, founder of the Royal Botanic Garden in Jordan; and U.S. Interior Secretary Sally Jewell. And, as you may have read in our previous post, Hawaii-born President Barack Obama spoke last Wednesday evening to leaders from the congress. 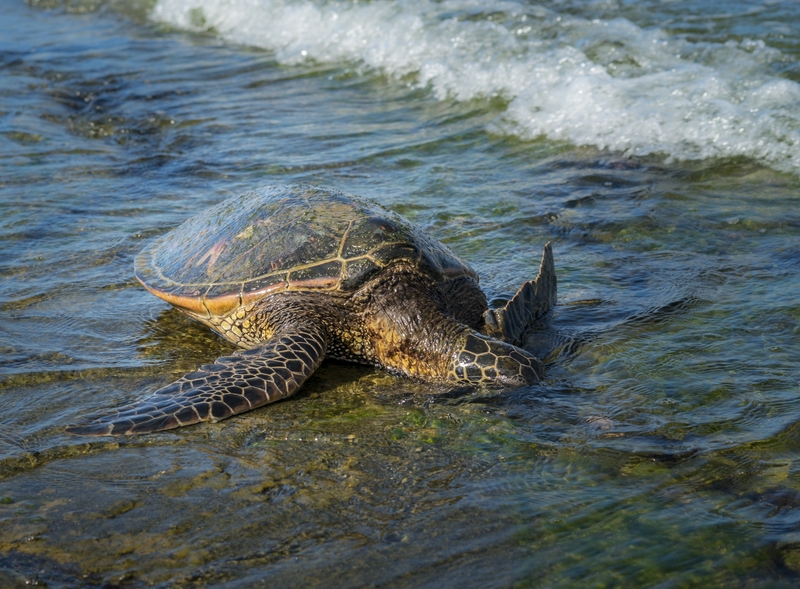 Endangered sea turtles will be the focus of many discussions during the World Conservation Congress. Lots of events during the congress are open to the public (and that means visitors, too). You can buy a one- or two-day kamaaina pass for $75 and $150, respectively. Free public access is provided to art exhibits, booths and pavilions in the main exhibition hall. Tour Hawaii’s largest limestone cave on Kauai or look for endangered plants and birds at Hakalau Forest on the Big Island with knowledgeable local guides during IUCN-sanctioned excursions. Other options include a daylong hiking adventure from summit to sea at Hawaii Volcanoes National Park[/related], a UNESCO World Heritage site; an interpretive tour of the National Tropical Botanical Garden’s Limahuli Garden and Preserve on Kauai’s north shore; and planting a native koa tree on the slopes of Mauna Kea. If you’re interested in seeing nature up-close, you can also contact Hawaii Aloha Travel for more information about featured nature tours, such as a hiking tour of “]Hawaii Volcanoes National Park. Some excursions are hands-on. In one instance, participants will help pull weeds in the Waianae Mountains followed by a tour and a farm-to-table lunch by chef Ed Kenney at Mao Organic Farm. Excursions can be booked a la carte, with prices ranging from $10 to $250, not including airfare and accommodations. 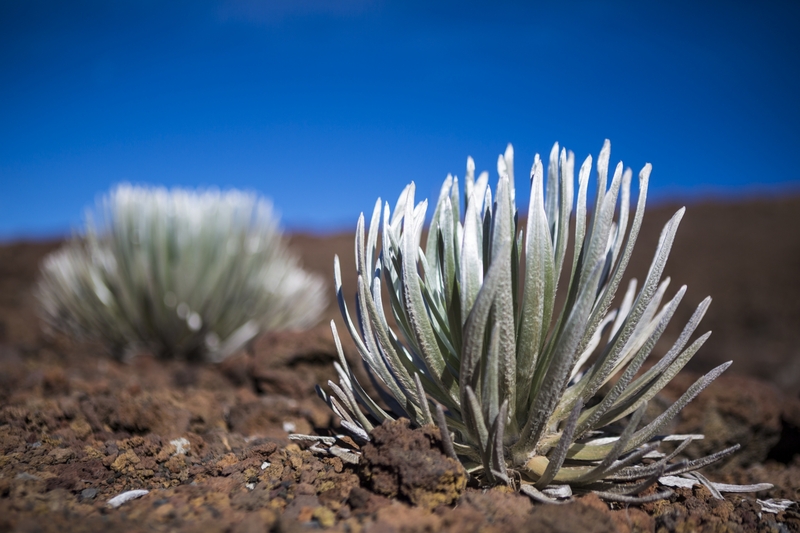 Silversword plants are endangered. It, along with other plants and animal species, will be the focus of conservation forums at the World Conservation Congress. For the first time, images from both books will be on exhibit together. The stunning images include the blades of a Kau silversword branching out in full glory, a close-up of a Hawaiian happy face spider, and a comical oopu fish. If you’re a conservation-buff, there’s no place more important in September than Hawaii. So, while you’re here, make sure you take advantage of the programs and events that are all part of this uber-important congress.